Working and living at Lone Mountain Ranch is a rewarding experience and one that many folks have enjoyed over the decades. We are committed to providing unforgettable and unique experiences with exceptional customer service to our guests and we focus those experiences on high quality adventures. To deliver this, it takes an exceptional staff and we make our crew a priority by providing a safe, professional and adventure-filled work environment and experience. We hire dynamic and personable team players and look for both full-time and seasonal staff for positions in our kitchen, dining room, housekeeping, kid’s, naturalist, ski and horse programs and the office and maintenance departments. Our crew is one of our most valuable assets. Lone Mountain Ranch guests enjoy the chance to meet and get to know crew and crew are involved with the guest experience from guiding trips to joining them over meals. Excellent crew consistently provides our guests with a unique and exceptional vacation experience. The Ranch crew consistently receives praise from our guests for their work ethic, helpfulness, great attitude, common sense and their desire to generously share their love and enthusiasm for the Ranch and its surroundings with guests. Working at the Ranch also provides the opportunity to discover the Greater Yellowstone Ecosystem by crew participating in limitless recreational experiences. National Forests and Parks, Blue Ribbon trout streams and wild and scenic whitewater rivers are all easily accessible from the Ranch. During the winter, we have a world-class Nordic Ski Center and the Biggest Skiing in America at Moonlight Basin and Big Sky Resorts. We are recognized as one of North America’s finest Nordic skiing resorts with 100 km of trails groomed for both skating and classic. With our very dependable snow, the area is great for Nordic, alpine, telemark and back country skiing alike. Our summer season runs from about June 1 to September 30. Hiring for summer begins in late-February. Our winter season runs from about December 5 to March 31 with hiring beginning in mid-September. Although there may be some flexibility with the dates of employment, your chances of being hired increase if you apply early and if you can work through the entire season. Dorm style or semi-private housing can be offered for most seasonal employees. Lone Mountain Ranch is an equal opportunity employer and is proud to provide its employees with a non-smoking work environment. We welcome all nationalities for employment and because of the restrictions concerning the hiring of foreign applicants, you must have your working papers in order before submitting your application for review. Note to international applicants: Lone Mountain Ranch does not sponsor H2b visa’s and only occasionally hires J1 visa students based on our needs. Lone Mountain Ranch hires through specific J1 sponsored agencies that screen and hire on our behalf. 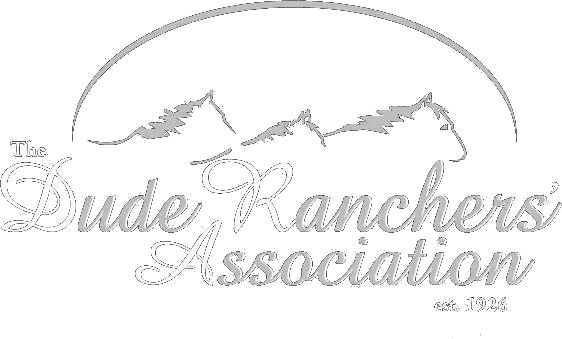 If you are interested and feel you could contribute significant value to the Ranch, please take a few minutes to fill out an employment application. For further information or any employment questions please contact us at hr@LoneMountainRanch.com. Thank you for your interest in working at the Ranch! If you have trouble downloading this application, right click on “download application,” choose “save link as” and save the pdf to your computer to open.